Finland is the happiest country in the world. It wants to help. The United Nations World Happiness Report crowned the Nordic nation king for the second year in a row, after cross-examining data on GDP per capita, social support, life expectancy, freedom to make life choices, generosity, and perceptions of corruption in 156 countries around the globe. If you ask a Finn, though, they’d probably just chalk it up to nature and relaxation. The country is the most sparsely populated in the EU and maintains the most saunas per capita. That’s 130K-square miles and 2 million saunas, all to be enjoyed by just $5.5M people. Meanwhile, the United States finished 19th on the UN’s Happiness Report. We’ve got our share of issues, and one solution could be as simple as interacting with a Finn. At least, that’s the plan proposed by Visit Finland; the travel agency just launched “Rent a Finn,” an initiative whereby appointed Finns will host travelers for up to three days this upcoming summer. Each hosting Finn is a specially vetted “Happiness Guide.” There’s Petri, a physiotherapist who lives in a national park along the Baltic Sea with his wife and his dog, Ruu. And there’s Katja, a yoga teacher who lives in a quiet neighborhood of Helsinki called Käpylä. And Hanna, who will take you to her grandmother’s farm to pick blueberries by a lake. And Esko, a mayor who … you get it. These people are largely incapable of waking up on the wrong side of the bed, and we could benefit from just a little of their special sauce. So to apply to spend a few days with one of the Finns, simply film a short video explaining your desire to win/connection to nature, fill out an application and send it all in before April 14. Winners will be announced in May, with visits scheduled sometime between June and August. Now, in case you don’t win, do not be … even sadder. 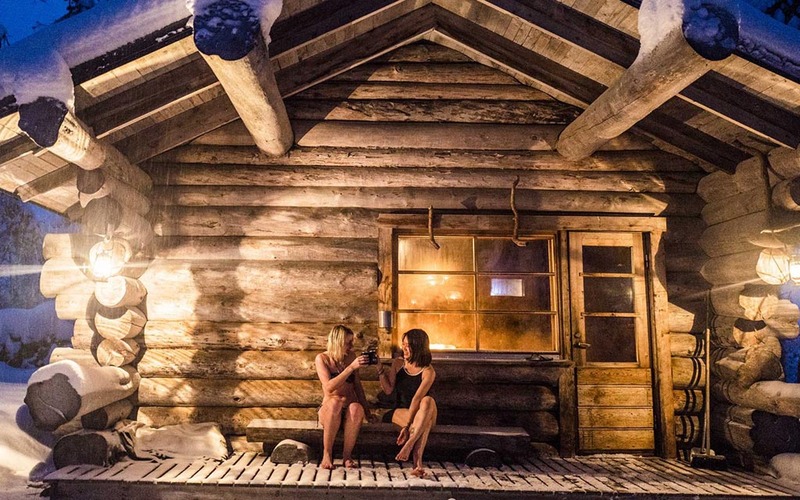 Either A) travel to Finland and meet meet some Happiness Guides the old-fashioned way (street-surf, barnstorm pubs, chat with locals at saunas — here’s how to do the last one correctly) or B) institute some Finnish tenets of happiness into your life, the same way the globe’s gone cuckoo for Danish design’s hygge. Make time for walks during your work day. Prioritize time away from screens on the weekend. Leave your city of business and breathe air that isn’t being shared by multiple million people on a concrete island. Take two hours to cook dinner and spend four at the table. With a little effort, we can will the States up a few notches on next year’s report.